(AFP) - Desperately needed aid being stockpiled at Venezuela's door is at the heart of a political duel between the two men fighting to lead the oil-rich nation: Juan Guaido and Nicolas Maduro. The United Nations said it's ready to send emergency aid to Venezuela, but only if Caracas agrees. "Humanitarian aid should never be used as a political pawn," UN spokesman Stephane Dujarric said Thursday. More than 80 percent of medicine and medical equipment are missing in a country that has the world's largest proven oil reserves, according to the pharmaceutical federation. There are constant cuts of basic services such as water and electricity. Maduro accuses the United States of setting up an "international coalition... to intervene militarily in Venezuela under the pretext of a non-existing humanitarian crisis." 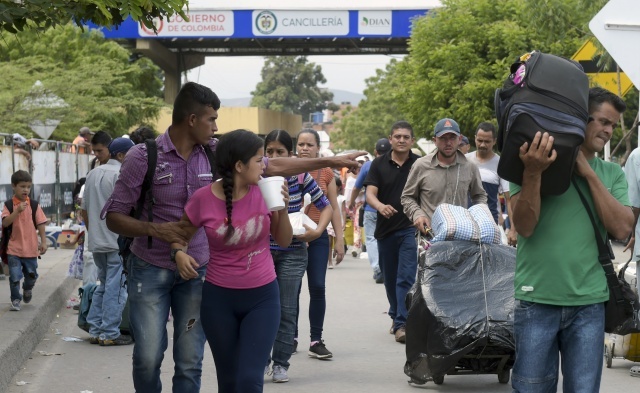 For the National Assembly's former president and opposition lawmaker Henry Ramos Allup, the government's refusal to allow humanitarian aid to enter the country "reveals once more to the world the regime's human rights violations." The anti-Maduro camp has also denounced the regime's decision -- while Venezuela grapples with such a dire situation -- to send 100 tonnes of humanitarian aid to Cuba to assist the communist island in the wake of a recent hurricane. The government faces a "strategic dilemma" because "regardless of its decision, it loses," Magdaleno said. "Maduro is going to put his foot down. It doesn't matter much anymore to him. He is playing a game that seems to be entering its last phase," which threatens his hold on power, said Salamanca.